When your windshield gets broken or chipped, it can be a huge inconvenience. Your vehicle is not only unsafe to drive, but can also cause you extra money out of pocket if a police officer should see it and ticket you for operating a vehicle that has a driving hazard. Also, leaving a small crack or chip can turn into a much larger area of damage quickly, leaving you with needing an entire windshield replacement instead of a repair. 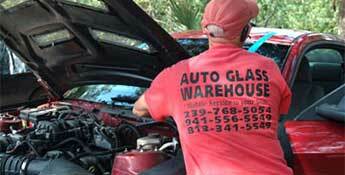 The Auto Glass Warehouse wants to make your Plant City windshield replacement or repair as hassle free as possible. We offer friendly customer service, easy claims processes, highly skilled and certified technicians and mobile service to your vehicle at no extra charge!